I travel great distances and go to great lengths to be sure to create amazing wedding pictures for my clients. This picture was taken in Ithaca, New York under the lower falls at Robert H. Treman State Park. It was made as part of a "Couture Wedding Photography Session" which takes place either before or after the couple’s actual wedding date. 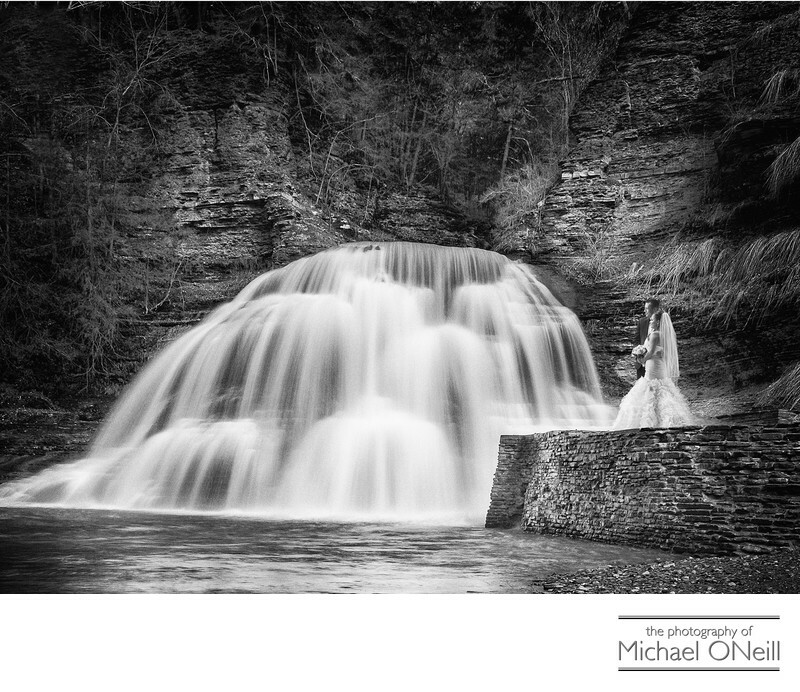 The logistics of the Long Island wedding day obviously did not allow for traveling 600 miles round trip for a visit to the waterfall under which the groom had proposed marriage to his beautiful bride. These "day after" or couture wedding photography sessions are becoming very popular these days. Wedding couples want to create masterpiece photographs at incredible locations that are not available to them on the wedding day. Unlike the "Trash-The-Dress" sessions that were in style years ago the objective of a second day shoot is to create amazing, dramatic, elegant and romantic images. Many of my wedding couples are electing to engage in a second day session and most have great ideas on where they would like them to take place. I would love the opportunity to collaborate with you on an amazing "day after" (or week after, or month after) couture wedding photography session.